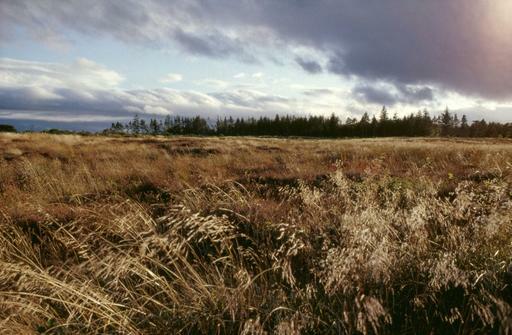 Culloden Battlefield, located a few miles outside of Inverness, the “capital of the Highlands”, is probably the place that people associate most with Charles Edward Stuart and the Jacobites. Before the Battle of Culloden in 1746, the Jacobites had been attempting to get their rightful king (James VII & II and when he died in 1701, his son, James Francis Edward Stuart) on the thrones of Scotland, England and Ireland for more than fifty years. There are several cities and locations that hold special significance when learning about the Jacobites and their journey; today, we will start with a post about Scotland’s capital. James VII of Scotland and II of England and Ireland succeeded his brother in 1685, before being deposed three years later during the Glorious Revolution. Not long after becoming King, James had appointed the Duke of Gordon, a fellow Catholic, Constable of Edinburgh Castle. In March 1689, the Castle was besieged by 7,000 Government soldiers, who were there to claim it on behalf of William and Mary. Viscount Dundee, who went on to fight and die at the Battle of Killiecrankie a few months later, climbed up the Castle in order to urge the Duke of Gordon (whose resolve was shaky) not to surrender. The siege ended up lasting for three months. During that time, serious developments were happening in Parliament; William and Mary had already been proclaimed King and Queen of England and Ireland in February, and on the 11th of April, the Parliament of Scotland, its meeting place being at Parliament Hall, Edinburgh, declared that James was no longer King of Scotland, and that William and Mary were to be the joint sovereigns. They were proclaimed King and Queen of Scotland in Edinburgh the following day. Meanwhile in Edinburgh Castle, supplies were dwindling and the Government troops were standing strong outside. In addition to these problems, there were instances of sickness and religious discordance among the 160 within the Castle. By the middle of June, the number inside had dropped to 90, and the Duke of Gordon surrendered the Castle. Under the 1707 Acts of Union, Edinburgh was one of four castles, alongside Stirling, Blackness and Dumbarton, to be permanently garrisoned by the Government troops. There were further attempts by the Jacobites to reclaim the Castle. During the Jacobite Rising of 1715, Lord James Drummond led around 100 Jacobites in an attack. They tried to scale the Castle walls at night, but ladders dropped for them were too short. The Government troops were alerted, and the Jacobites were forced to abandon their siege. Those who had attempted to help them from within the Castle were either whipped or hanged. Thirty years later, in September 1745, Charles Edward Stuart, campaigning on behalf of his father, James Francis Edward Stuart, arrived in Edinburgh. Thousands of spectators lined the streets as he made his way through the city, and the courtyard fountain at Linlithgow Palace was said to have flowed with red wine in celebration. People cheered as he made his way to Holyrood Palace, where he stayed and held court for the following six weeks. However, the Government soldiers who garrisoned Edinburgh Castle, led by General George Preston, held out against Charles Edward Stuart and the Jacobites. On the 21st of September, the Jacobites defeated a Government army, headed by Sir John Cope, at Prestonpans, a small fishing town on the east side of Edinburgh but the castle held strong. The Jacobites had no heavy guns with which to combat the shots coming from the Castle, and ended up withdrawing after several lives had been lost and damage had been done to the city. Finally, in November, Charles Edward Stuart and his army left Edinburgh and marched to England with the expectation that they would find more recruits there and the hope that they would be able to overthrow the Hanoverians. However, it wouldn’t be long before they made their long retreat back north and stood at Culloden for their final battle. We hope you enjoyed this foray into the Jacobites and Edinburgh. As always please like, share, tweet and comment.